If you thought we were excitable last week, you should see us today – we’ve been playing with the app, and whilst it’s not ready for public consumption yet, it has got us doing our best impressions of Dr Frankenstein. 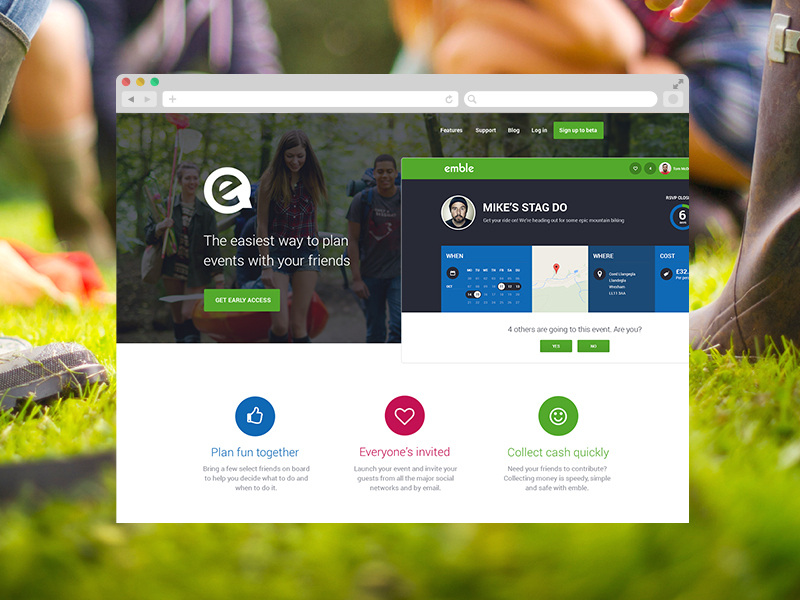 We cannot wait to let our creation run wild and allow everyone to have a good old play with it, so we wanted to let you know what our plan is for the launch of emble. Firstly, we’re going to be launching the beta version – in case you’re not familiar with this terminology, it simply means that the app’s still going to be in its development stage, and we’ll be asking users at this point to bear with us and give us a heads up if they encounter any pesky bugs. We’ll initially be in private beta, so only those lucky individuals with invitations will be able to come and play, and we’ll be giving priority access to the lovely people who have helped us out by completing our survey or spreading the word about emble. If you want to get in early, you can answer a few short questions, or share emble on Twitter or Facebook using the hashtag #emblebeta. Don’t forget, you’ll need to signup as well (or we won’t be able to email you your invite)! We’ve decided to start off in private beta as we want to make sure we’re able to give our awesome users the best experience possible, and we’ll be sending out invitations throughout this time. Once we’re happy that the bugs have been mostly eliminated, we’ll open the beta to the wider world – no invitation required! We’ll stay in beta until we’re happy that emble is 100% issue-free; from this point, we’ll be all about making emble bigger and better. Private beta coming Summer 2014. Sign up now for early access! Nice one! Check your email to finish the job. Share emble on your social media weapon of choice.